Clinical outcomes related to HIE. Goals & outcomes to optimize function, prevent deterioration, manage acute exacerbations, & support self-management. Clinical impact & process measures, HIE for care planning, medication review, care monitoring, prevention of adverse outcomes such as pressure ulcers, delirium, falls, cognitive decline. Hospital admission & readmission rates. Patient/resident outcomes: morbidity functionality, mortality, cognitive performance. Patient perspectives of their experience, in defining whether or not their care is successfully coordinated. Cost savings or expenditures are part of the business outcomes. 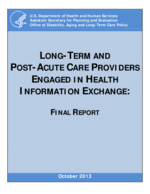 Includes reductions in utilization (e.g., hospital days, associated patient bed days of care for readmissions, medication errors, laboratory tests, medications), efficiencies, & associated costs. 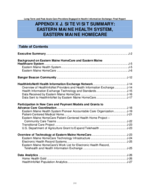 Includes the number of users of HIE, how used, & depth of their use. Captured as a percentage of users to potential users; level of use of a HIE system or HIE intervention can be quantified a variety of way such as usage, over time, relative to opportunities, & by type of usage (ED setting, discharge to new care setting, admission, by care planning team, pharmacy). Number of users by clinical discipline using an HIE approach, intervention or tool. Measures that reflect how well care is coordinated. Kern LM Dhopeshwarkar R, Barron Y, et al. 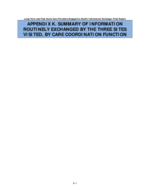 Measuring the effects of health information technology on quality of care: A novel set of proposed metrics for electronic quality report. Jt Com J Qual Patient Saf; 2009; 35(7): 359-369. Kern LM, Wilcox A, Shapiro J, et al. Which components of health information technology will drive financial value? Am J Manag Care; 2012; 18(8): 438-445. McDonald K, Schultz E, Albin L, et al. 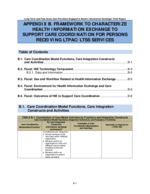 Care coordination measures atlas version 3. Rockville, MD: Prepared by Stanford University under Subcontract to Battelle on Contract No. 290-04-0020 for the AHRQ; 2010. 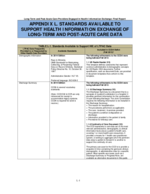 AHRQ Publication No. 11-0023-EF. Leath B, Mardon R, Atkinson D, et al. 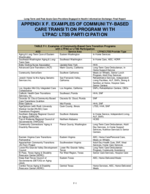 NIH-community care coordination performance measures (NIH-CCCPM) project technical report on project: Standardizing community care coordination measures linked to improvements in quality of life and health outcomes among vulnerable populations. Rockville, MD: Westat; 2012. Forster AJ, Murff HJ, Peterson JF, et al. The incidence and severity of adverse events affecting patients after discharge from the hospital. Ann Intern Med; 2003; 138(3): 161-167. Society of Hospital Medicine. Project BOOST: Better outcomes for older adults through safe transitions. 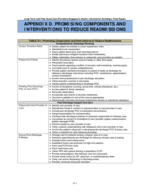 Available athttp://www.hospitalmedicine.org/AM/Template.cfm?Section=Home&CONTENTID=27659&TEMPLATE=/CM/HTMLDisplay.cfm. Accessed August 6, 2012. Gordon P, Camhi E, Hesse R, et al. 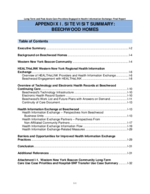 Processes and outcomes of developing a continuity of care document for use as a personal health record by people living with HIV/AIDS in New York City. Int J Med Inf; 2012; 81(10): e63-e73. 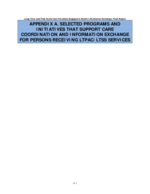 Wolf L. National Governor's Association long-term care and health information exchange coordinate care to improve outcomes. Kindred Healthcare; 2011. 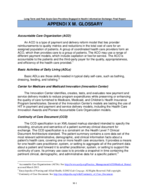 Available at http://www.nga.org/files/live/sites/NGA/files/pdf/1105HIELARRY.PDF. Kern LM, Dhopeshwarkar R, Barron Y, et al. Measuring the effects of health information technology on quality of care: A novel set of proposed metrics for electronic quality reporting. Jt Comm J Qual Patient Saf; 2009; 35(7): 359-369. Kern LM, Blumenthal D, Pincus H, et al. 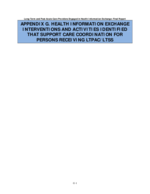 Quality measures for capturing the effects of health information exchange. AMIA Annu Symp Proc; 2008; 1001.